Google is refining the options it gives advertisers for excluding categories of sites from their display network campaigns on the Google Display Network. With this change, several current site category exclusions are being eliminated or recategorized, and a couple of new ones are being added. As of last week, several exclusions are no longer available for new Display campaigns. In early 2018, all existing campaigns will be switched over to the new settings automatically. Newer campaigns show an updated version of the site category exclusion options. Roll-up: The “Crime, police, and emergency,” “ Military and international conflict” and “Death and tragedy” categories are being rolled up into the “Tragedy and conflict” exclusion category. New: Another new category is “Content suitable for families.” Note that if you exclude “General audiences (DL-G),” that will also exclude content suitable for families. 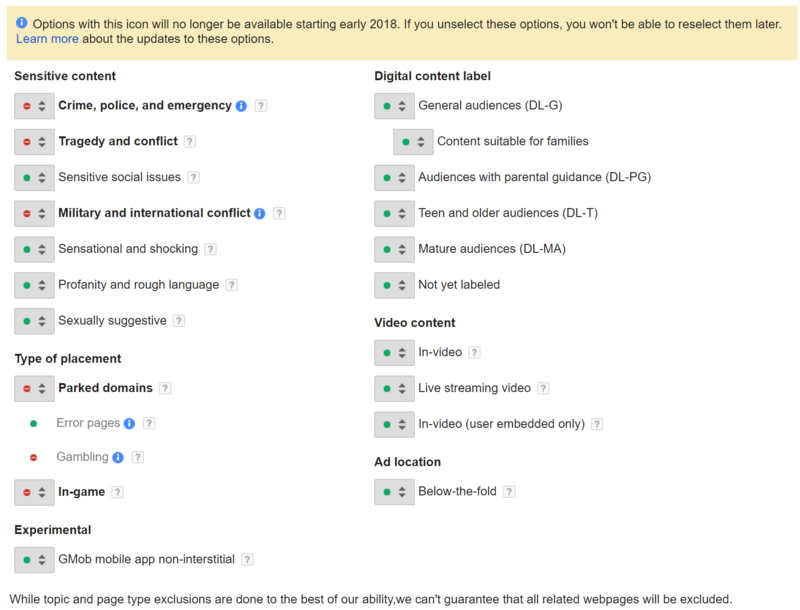 Removed: The gambling and error pages categories are being eliminated, since Google already restricts ads on those types of content. Removed: The Forums, Social networks, Photo-sharing pages, and Video-sharing pages options are going away, too. Instead, Google recommends using “Digital content labels” such as Mature audiences and Content not yet labeled, and other “Sensitive content” exclusions to restrict ads from showing on various types of user-generated and social content. The changes relate to the announcements earlier this spring and summer of changes Google is implementing in response to advertisers pulling their ads from YouTube after ads were found appearing next to extremist content. This latest update is part of a larger update to simplify the management of exclusions and align Display and Video controls. An earlier update added the ability to set exclusions at the account level rather than just at the individual campaign level. 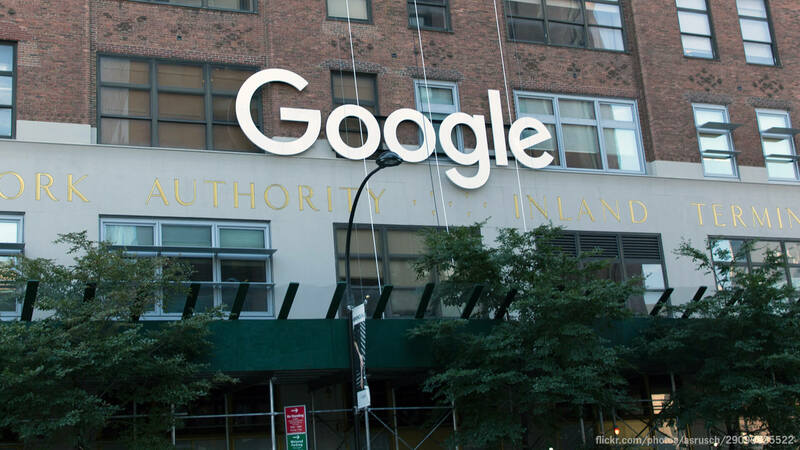 A Google spokesperson told Search Engine Land that the company is recommending advertisers use the Digital Content and Sensitive Content Labels to achieve their “brand suitability” goals rather than many of the individual category exclusions. We have a running timeline related to Google and YouTube’s brand safety announcements and updates on Marketing Land. Google recommends advertisers make adjustments to existing campaigns manually by the end of the year, ahead of the switch in 2018.